A man found with a gunshot wound to the head at a South Side home on Tuesday has died, said Billings police Lt. Kevin Iffland, and the investigation into the incident is continuing. Iffland said he the man was a 26-year-old Billings resident but declined to release his name, saying the county coroner would release the name pending an autopsy. Officers were called to 37 Washington St., shortly after 3 p.m. on Tuesday for a report of a shooting incident. Police found the man with gunshot wound to the head. He was taken by ambulance to St. Vincent Healthcare and died. This entry was posted in Dead, Man, Montana on December 10, 2013 by usgunviolence. ANACONDA — An Anaconda man celebrating his 45th birthday has been identified as the victim of a weekend shooting. The Anaconda-Deer Lodge coroner says that Robert Murlin Furman was shot to death early Saturday in Anaconda. A 21-year-old man, Dylan Jess, was arrested on suspicion of homicide. Police Chief Tim Barkell says the two men apparently knew each other. Officials have not released any information about what led to the shooting. Police said the shooting occurred early Saturday at a home at 1014 E. Fourth St., Anaconda. Furman and Jess apparently knew each other, said Chief Tim Barkell. This entry was posted in Dead, Man, Montana on November 9, 2013 by usgunviolence. Brothers Shane and Travis Johnson were living together in a basement on 2nd Avenue until the night Shane Johnson allegedly shot Travis. The public incident report the Havre Police Department gave to City Judge Margaret Hencz told the story of what happened at the Johnsons’ residence after Travis Johnson was taken to the hospital Saturday. 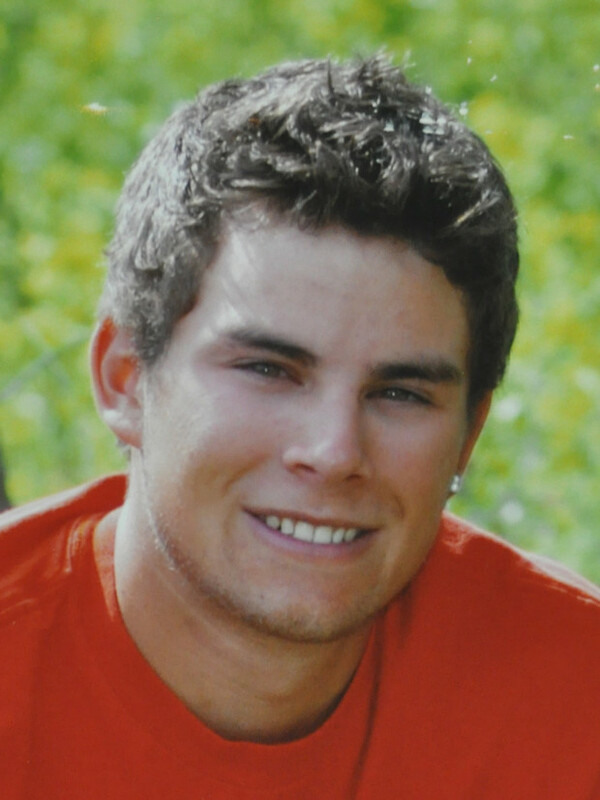 Havre Fire Department personnel and Havre Police officers were dispatched to the 700 block of 2nd Avenue in response to a 10:04 p.m. call from Donna Biem, the Johnsons’ mother, who said Travis Johnson was unconscious and was not sure if he was breathing. This call was not listed in the police department dispatch log. Officers arrived and assisted Johnson, who had trauma to the left side of his head and was bleeding and barely breathing. He was transported to Northern Montana Hospital and shortly after pronounced dead. Emergency medical technicians suspected Johnson’s death was caused by a gunshot wound to the left side of his face. The weapon used was a small caliber. The hospital also identified the wound as a gunshot. The affidavit reports that Travis Johnson and Shane Johnson are brothers and occupied rooms in the basement of the house. Donna and Robert Biem live in the same house. The jury in the murder trial of Shane Johnson of Havre Tuesday night could not come to a decision on the first charge filed against him but convicted him of a lesser included offense offered over the objection of his attorneys. Johnson, born in 1968, was charged with deliberate homicide in the Nov. 9 shooting death of his brother, Travis Johnson. After deliberating some four hours or more, the jury notified state District Judge Dan Boucher they had reached a verdict before 8 p.m., but then sent a note saying they may have filled out the verdict form improperly. The jury had marked “not guilty” on the deliberate homicide charge when they had not been able to reach a verdict, the note said, but had reached a verdict on the charge of negligent homicide. This entry was posted in Dead, Domestic Violence, Man, Montana on November 8, 2013 by usgunviolence. A man was found dead — spotted by a passing driver — in the driveway of a North Side home Sunday morning, according to Billings police. The man, between the ages of 25 and 35, had one or more gunshot wounds to the chest, said Billings Police Sgt. Jason Gartner. The driver called 911 at 10:11 a.m. to report seeing a man on the ground in the driveway of 1128 N. 24th St.
Lois Gaudet, who lives two houses south of the home, said she heard something overnight. Officials on Monday identified the Billings man shot and killed outside a North Side home and announced that a suspect is in jail awaiting homicide charges. Misael Santiago, 32, of Billings, was named as the man found dead in a driveway on North 24th Street on Sunday morning. Santiago died from three gunshot wounds, said Yellowstone County Coroner Lt. Bill Jones. Mahpevana-Hane Lorne Bearcomesout, 35, of Billings, is being held at the Yellowstone County Detention Facility on suspicion of deliberate homicide and tampering or fabricating physical evidence, both felonies. The man arrested Sunday in the shooting death of another man on the North Side over the weekend said he did it in self-defense, apparently during a confrontation over a stolen dog and gun, according to charging documents filed on Tuesday. BILLINGS (AP) — A Billings man has been sentenced to 40 years in prison for shooting another man to death, apparently during an argument about a stolen gun and pit bull puppy. District Judge G. Todd Baugh sentenced 36-year-old Mahpevana-Hane Lorne Bearcomesout for the October 2013 shooting death of 32-year-old Misael Santiago. Bearcomesout confronted Santiago about the puppy and prosecutors say it appears Santiago was going to the garage to get the puppy when Bearcomesout shot him three times with a .45-caliber handgun. This entry was posted in Dead, Man, Montana on October 20, 2013 by usgunviolence. GREAT FALLS – A man shot and killed near Augusta has been identified. 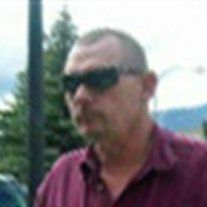 Lewis and Clark County Coroner Mickey Nelson said that 53-year-old Timothy B. Newman of Great Falls was shot twice in the chest on Friday. Nelson says Newman appears to have owned a cabin in the area. Lewis and Clark County authorities say they responded to a report of a verbal argument and then shooting about 25 miles outside Augusta at about 12:30 p.m. Friday. A female caller told police her husband and Newman had an ongoing argument about easement access on the properties. Police say Newman was dead when deputies arrived about 1 p.m.
Joseph G. Campbell is charged with deliberate homicide for the October 2013 death of 53-year-old Timothy Newman of Great Falls near Campbell’s property southwest of Augusta. Court documents state on Oct. 18, at about 12:20 p.m., Tani Converse called Lewis and Clark County sheriff deputies to report that her husband, Joseph Campbell, was involved in an altercation with Newman. Converse made the call from neighbor Ryan Smith’s house and reported that her husband and Newman were arguing after Newman had threatened to cut a lock on the gate to their property. Converse reported Newman was “ranting and raving” as she made the call. She said she could not see her husband and Newman from where she was calling. This entry was posted in Dead, Man, Montana on October 18, 2013 by usgunviolence. The man who died after a Friday morning shooting in Bozeman has been identified. Larry “LJ” Clayton, 24, of Belgrade, died at Harborview Medical Center in Seattle, according to Bozeman police. He was one of three people shot after a house party, police say. According to police, Clayton was shot in the abdomen around 4 a.m. Friday. Cody Christopher Little, 25, was arrested for the shootings. He was charged with two counts of attempted deliberate homicide and another count of assault with a weapon. He is in the Gallatin County jail on $1.25 million bail. Two other victims had leg injuries. One was taken to a Billings hospital for treatment. This entry was posted in Dead, Man, Montana, Multiple Shooting on September 20, 2013 by usgunviolence. This entry was posted in Man, Montana, Multiple Shooting, Wounded on September 20, 2013 by usgunviolence.